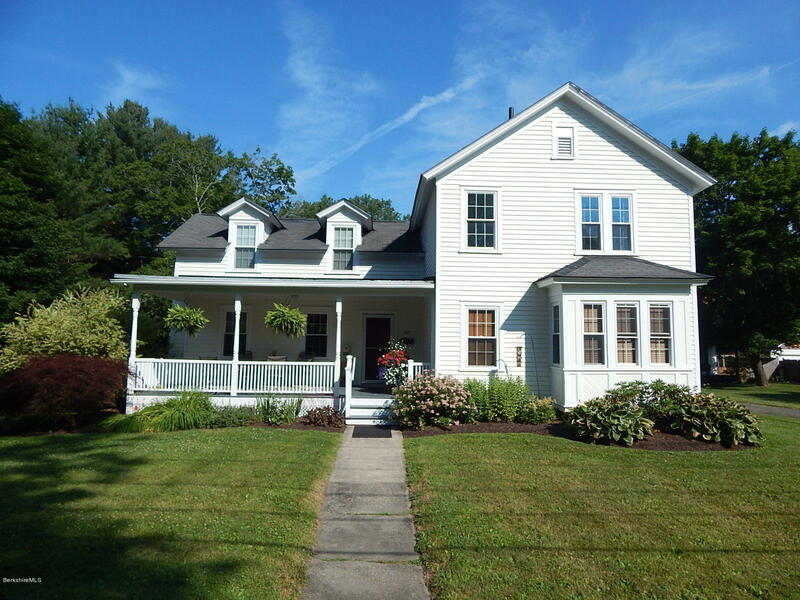 Beautifully updated New England Farm house on over an acre lot. This 3 bedroom, 2 bath home is charming. The kitchen is an open and bright space with vaulted ceilings, skylight, wood beams, all open and flowing into the dining room. Lots of windows in the living room allowing the natural light in showing off the detailed ceiling and wood floors. There is an office on the 1st floor and 3 large bedrooms on the 2nd floor. This home is well cared for and the attention to details is evident as soon as you enter this stunning home.